Today I am doing a review for Christianity Cove. Christianity Cove features easy to do lessons and crafts. Christianity Cove is your one-stop-shop for free Sunday School lessons, Bible games, crafts, skits and activities for Children's Church. 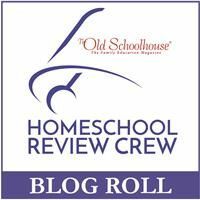 Our blog features hundreds of fresh, fun, and creative ideas for helping your students understand the Bible and relate it to their own lives. Price: an ebook. Normally #39.99 but currently on sale for $19.99. Meant for teaching a Sunday School Class or similar. Age Range: My son is Seven years old. This study was great for his age. I could see using this with children 5-10 years old. With modifications you could use it for older children as well. Two object lessons that will grab kids’ attention and really get them to understand the importance and the value of the Lord’s Prayer! Two games that are fun and will help kids understand each part of the Lord’s Prayer! Three crafts that reinforce your teachings on the Lord’s Prayer – with these craft projects you won’t just be sending kids home with a craft, you’ll be sending them home with a message! Two snack projects that will help you reinforce the message, only this time using great-tasting food – you’ll be able to show your kids how things like Graham Crackers relate to prayer … which proves how God’s word is relevant to everything we do, including eating! 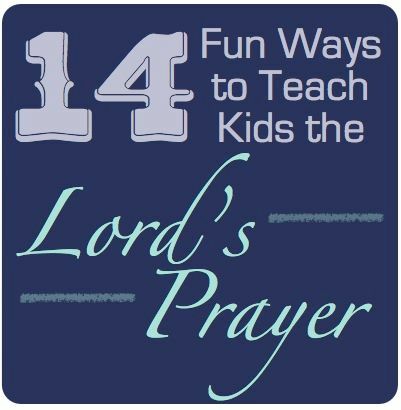 Two worksheets that help kids visualize all the concepts involved in the Lord’s Prayer! Plus, there’s even a science lesson that shows kids how our prayers work in heaven … and a meditation lesson that will help kids put thoughts and images to the prayer to make it that much more meaningful! Here my son is working on the Word Search. This was an enjoyable activity for us as we talked about the words, what they meant, and then raced to see how could find it first. I can't say that this was a particularly good fit for us. Mostly do to differences in opinion or not really understanding the point the author was making. There were times when I would say "HUH?" and then when I tried to explain it to the lad he would go "HUH?".. even pastor hubby didn't always get it. :) I have to admit, we worked it through, but some aspects of it were a challenge. For instance, the lesson where I'm to have a helper... um... I have one child, no assistant, so having a helper wasn't going to happen for me. And the lesson was difficult (though not impossible) to do without a helper, just required some brain power on my part. The rephrasing of the Lord's Prayer was difficult for us. Some of the alternatives didn't make a lot of sense for us and we weren't sure where to fit them in.. BUT on a positive note, that lack of surety gave us ample opportunity to say "I don't know what fits, what do you think might be something that YOU could say that might fit here?" So that was good. BUT I LOVED a couple parts of this lesson pack. The whole Oreo cookie with figuring out what prayer was... that clicked really well for me and my son. The Wordsearch went over well and it was an excellent opportunity for us to talk about what the different words meant. We spent an enjoyed 15 minutes talking our way through the search. This Lesson Pack did do what I wanted it to: It gave us the opportunity to learn more about the Lord's Prayer but more particularly to just talk about what prayer is all about. Our focus was not on memorization of the Lord's Prayer but on really understanding what prayer was all about. Not quite the intention of the Lesson Pack, but it's how it worked for us. I do encourage to to check out what other crew members have said about the Christianity Cove products. Please CLICK HERE in order to read them. Thank you.